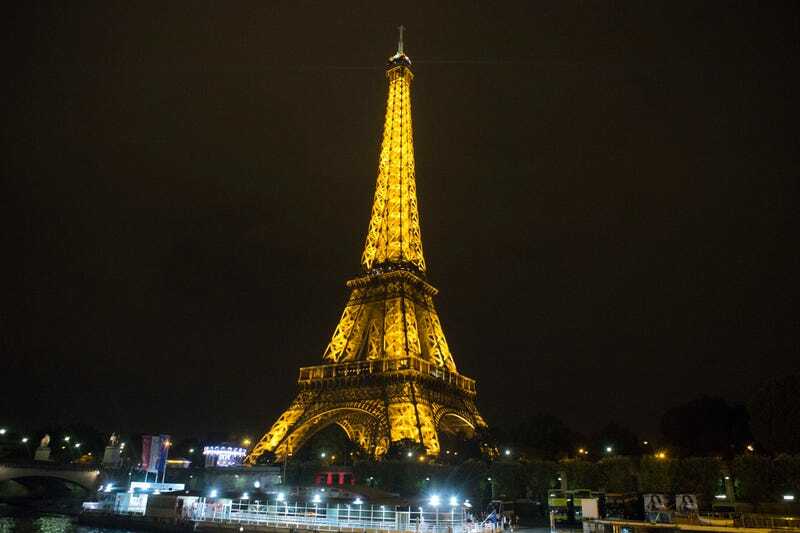 For the second night in a row, mysterious drones have appeared above Parisian landmarks. The authorities are baffled—and worried. Permission is needed to fly aircraft below 19,700 feet over Paris in the daytime, and personal drone flights are totally banned at night. That's why the French are freaking out over the unexplained appearances. The drones were spotted at some of Paris' most well-known landmarks, including the Eiffel Tower, the Place de Concorde, and the Invalides Military Museum. Drones also swooped the U.S. Embassy. This isn't France's first encounter with unidentified flying objects. Last month a drone flew over President Francois Hollande's house, and last year drones were observed over several nuclear power plants. While the security threat from a personal drone is theoretically minimal, the unannounced appearances are provoking a reaction from French authorities still jittery from January's Charlie Hebdo attacks. Video of the drone flights is set to be analyzed for clues behind who could be piloting the crafts.